The Best Horror Podcasts You should be listening to! If you’re familiar with the No Sleep subreddit then you know there’s some amazing creepy stories out there that will keep you awake at night. 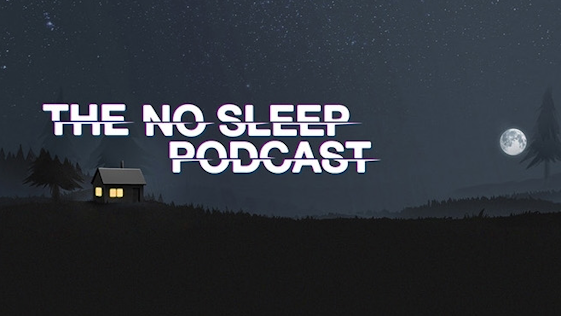 The No Sleep Podcast takes those stories and turns them in creepy audio masterpieces with talented voice actors, original music and sound effects! I’ve been listening to the podcast for a few years now and I can’t get enough! Sometimes the stories just creep me out and other times I’m totally terrified and spend the night awake! Plus the annual Halloween episodes are something I look forward to every year! You can’t go wrong with this one! When it comes to current horror movie news with insightful commentary then you should look no further than Shock Waves from Blumhouse. The hosts, Elric Kane, Rebekah McKendry, Rob G, and Ryan Turek are all life long horror fans who have had storied careers in the horror & entertainment industry. 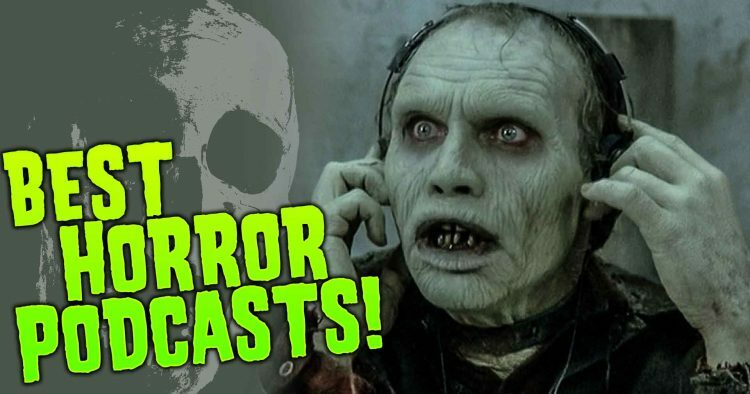 Every episode begins with a discussion on newly released horror films & TV along with older and rare films the hosts might have recently watched. As a horror fan I’ve discovered so many films I missed just by listening to this show. Episodes usually include an interview with a horror genre filmmaker, actor, special f/x artist etc but sometimes its just a great discussion about a sub-genre of horror. Listening to this podcast is a weekly ritual for me and it should be for any horror fan! Granted this is a podcast that produced here at Haunted Attraction Online but its one we feel strongly about which is why we support it! Each week two best Friends who have been lifelong horror movie fans pick a movie to discuss with sometimes insightful and often hilarious commentary. Hosts Chris and Brian keep things fairly loose on each episode and are known to go off on tangents from time to time but their show is always entertaining even when they cover a more serious movie such as David Cronenberg’s The Brood. If you’re new to the series I recommend checking out their Halloween 3 Episode or the Hilarious Freddy vs. Jason episode! Its just a fun show that we enjoy unwinding to! For those of you who like your horror podcast to be a more academic affair then the Faculty of Horror Podcast from Rue Morgue Magazine is for you! Horror journalists Andrea Subissati and Alexandra West have a lot to say about horror movies and they go in depth with insightful commentary that often surprises me and forces me to think about a movie in a different way. Their episodes often cover the themes and subtext in a horror movie that you might not be thinking about. Some of my favorite episodes of been there franchise episodes such as the Hellraiser series and their recent ReVamp episode that took a look at 2 different 80’s Vampire flicks and their underlying themes. Check them out if you like to dig into psyche of horror movies! Who knows you might even learn something about yourself! 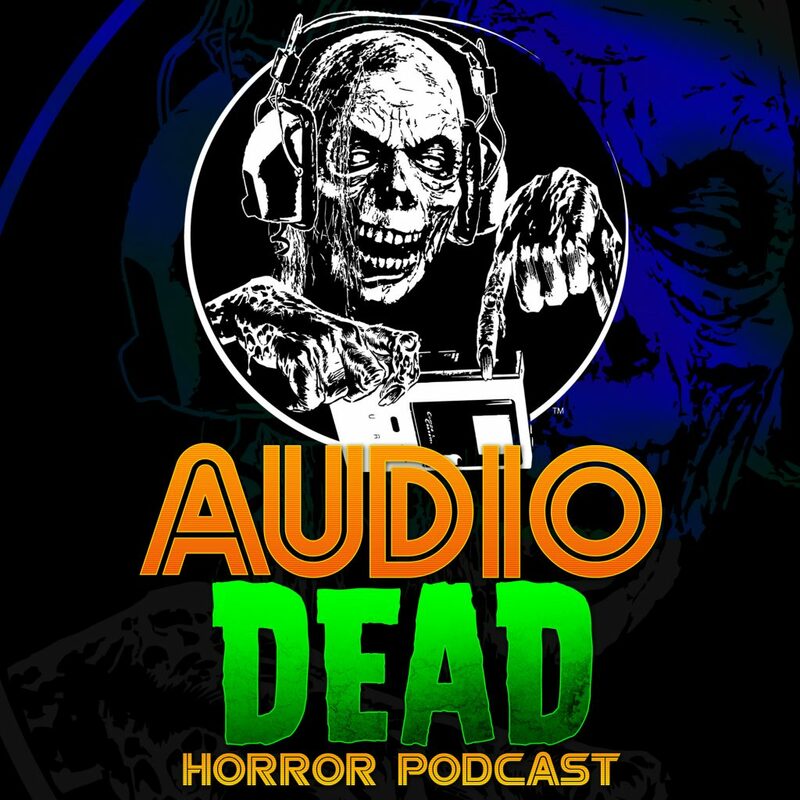 ‘You’re Next’ New Episode of Audio Dead Horror Podcast!